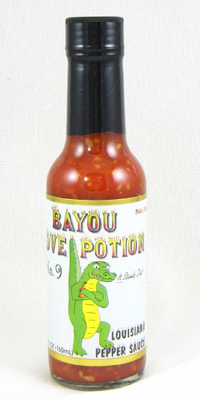 Bayou Love Potion Number 9 Louisiana Peppa Sauce is also know Cajun Viagra. Rx directions explain that you should take 3 times daily with food or as desired to keep your soldier at attention. 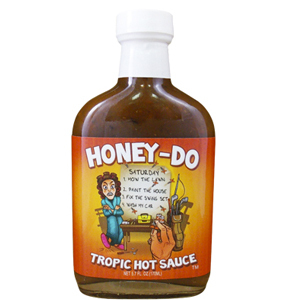 If your mouth burns for more than 4 hours, please call a physican! 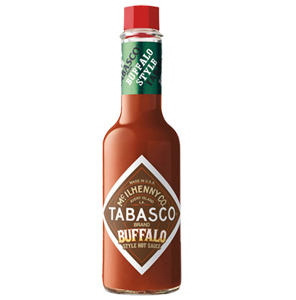 Ingredients: Cayenne Peppers, Habanero Peppers, Minced Garlic, Onion, Water, Vinegar, Spices, Sea Salt.